War and Democracy presents a selection of essays and reviews by Paul Gottfried written from 1975 to the present. They cover a variety of topics, both historical and contemporary, ranging from Oswald Spengler and the Frankfurt School to the destruction of classical liberalism, the dumbing down of higher education and the increasing dominance of administration in democratic governments. 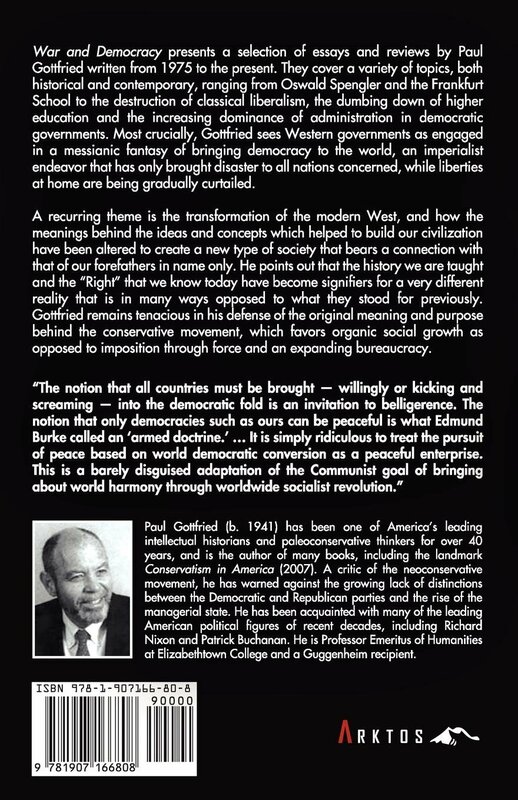 Most crucially, Gottfried sees Western governments as engaged in a messianic fantasy of bringing democracy to the world, an imperialist endeavor that has only brought disaster to all nations concerned, while liberties at home are being gradually curtailed. A recurring theme is the transformation of the modern West, and how the meanings behind the ideas and concepts which helped to build our civilization have been altered to create a new type of society that bears a connection with that of our forefathers in name only. He points out that the history we are taught and the "Right" that we know today have become signifiers for a very different reality that is in many ways opposed to what they stood for previously. Gottfried remains tenacious in his defense of the original meaning and purpose behind the conservative movement, which favors organic social growth as opposed to imposition through force and an expanding bureaucracy. "The notion that all countries must be brought - willingly or kicking and screaming - into the democratic fold is an invitation to belligerence. 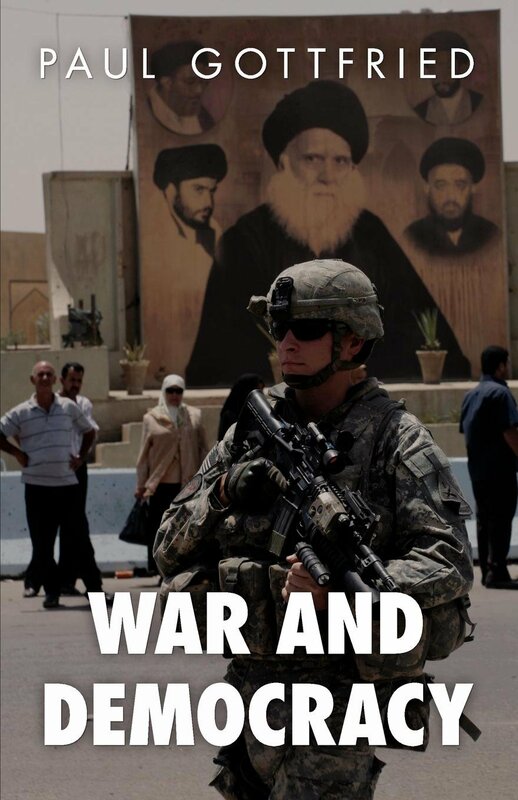 The notion that only democracies such as ours can be peaceful is what Edmund Burke called an 'armed doctrine.' ... It is simply ridiculous to treat the pursuit of peace based on world democratic conversion as a peaceful enterprise. This is a barely disguised adaptation of the Communist goal of bringing about world harmony through worldwide socialist revolution." Paul Gottfried (b. 1941) has been one of America's leading intellectual historians and paleoconservative thinkers for over 40 years, and is the author of many books, including the landmark Conservatism in America (2007). A critic of the neoconservative movement, he has warned against the growing lack of distinctions between the Democratic and Republican parties and the rise of the managerial state. He has been acquainted with many of the leading American political figures of recent decades, including Richard Nixon and Patrick Buchanan. He is Professor Emeritus of Humanities at Elizabethtown College and a Guggenheim recipient.